Man Injured In Motorcycle Crash In Greenacres | Schuler, Halvorson, Weisser, Zoeller & Overbeck P.A. 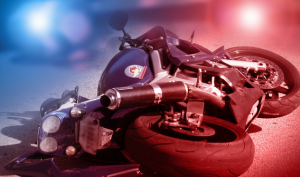 One person was taken to a hospital after being injured when a motorcycle and another vehicle crashed into each other near Jog Road and Purdy Lane in Greenacres. Witnesses say the man was dragged under a SUV following the wreck near Jog Road and Purdy Lane. As the woman was leaving the traffic stop, she pulled out into the left turn lane hitting a motorcycle. The motorcyclist was dragged with the SUV several hundred feet, the witness said. The injured motorcyclist, the owner of a fitness sports center, was riding to work when the crash occurred. An eyewitness saw the man trapped under the SUV. “It looked like he was gasping for air,” the witness said. He said at that point it didn’t seem like people could do anything. He said a resident nearby said a police officer following the woman came onto the loudspeaker to tell the woman to stop driving as she dragged the man. The woman was unaware that the man was trapped under her vehicle. First emergency responders transported the injured victim to a local hospital in critical condition.